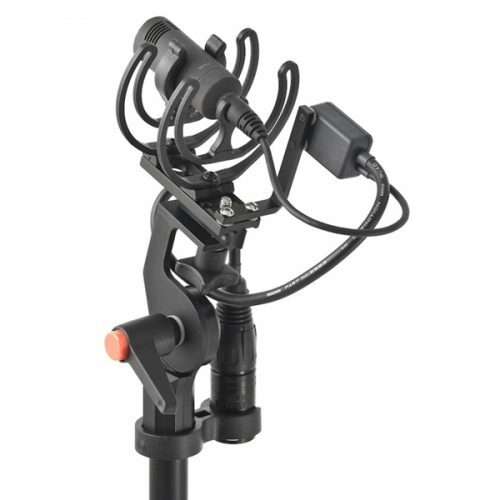 The Modular Suspension completely supports the microphone in a cradle arrangement using the patented “Lyre” suspension webs. The suspension provides isolation against handling noise vibrations from the boom pole or handheld use. This Modular Suspension provides a small profile for the Sennheiser MKH8000 series when additional wind protection is needed. One aid in accomplishing this is the use of a special Connbox. This is a tiny box attached to the mount, used as a wired interface between the microphone and the boompole. 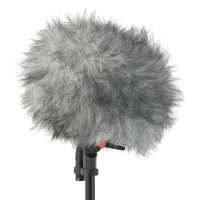 For this Connbox, Rycote has created the special connector for the rear of the MKH8000 series, normally reserved for the connection of an XLR/Phantom power adapter. 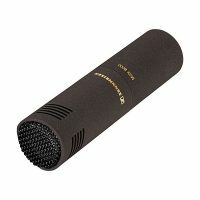 The Connector in this case allows the capsule to be used without the XLR adapter and provides a much shorter and lightweight profile. 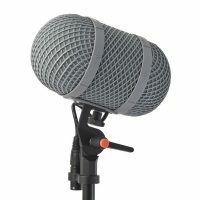 Read a review of Rycote’s Mono Ballgag System for Sennheiser MKH 8000 series mics.